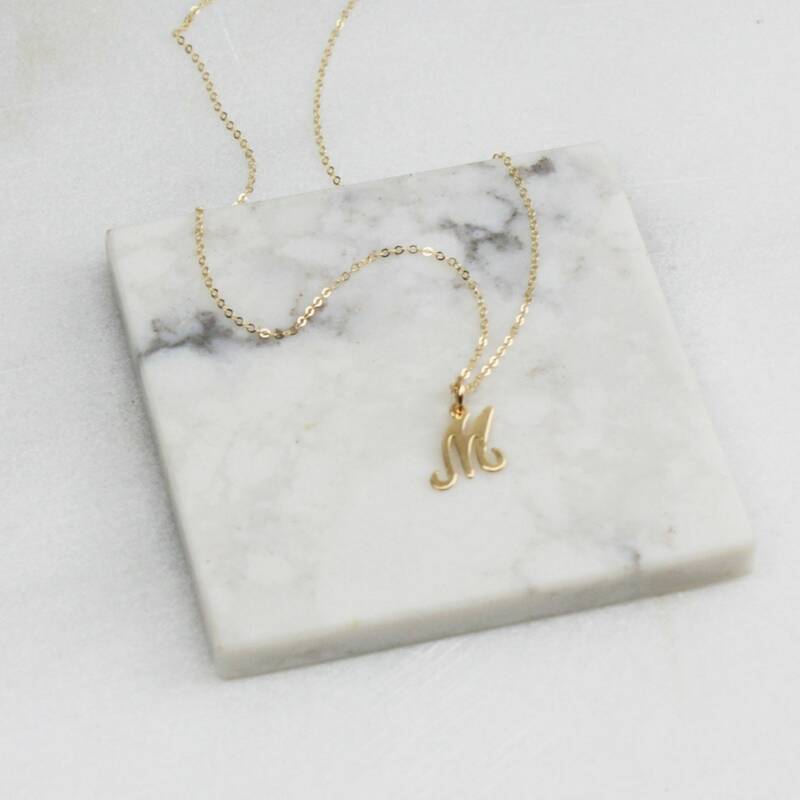 Our choker initial necklace is the perfect jewelry gift for her or yourself! 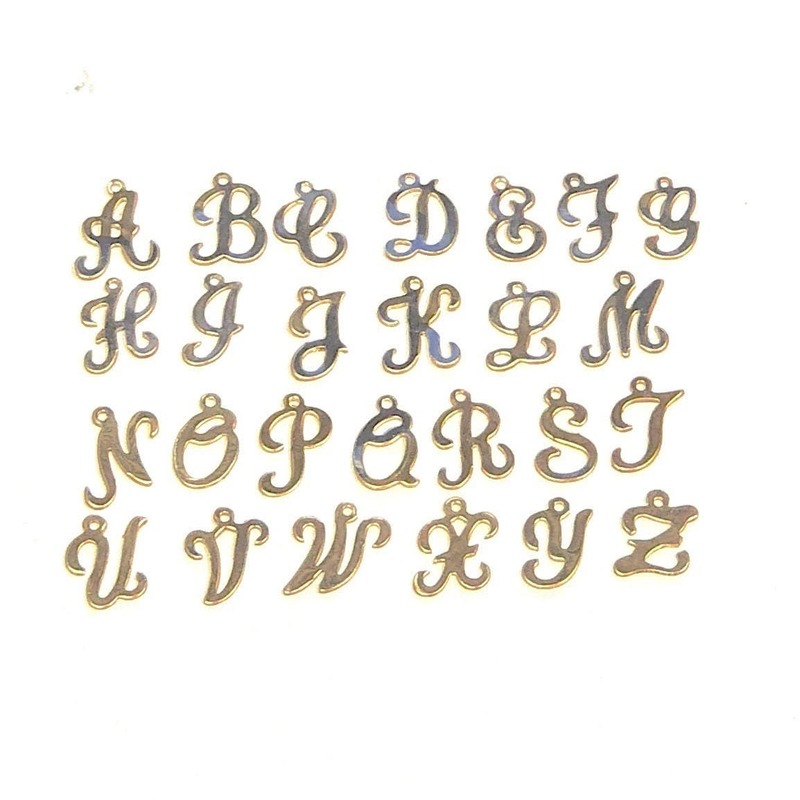 A dainty script letter is hammered for an elegant finish and hangs sideways in a delicate chain, dainty and meaningful. 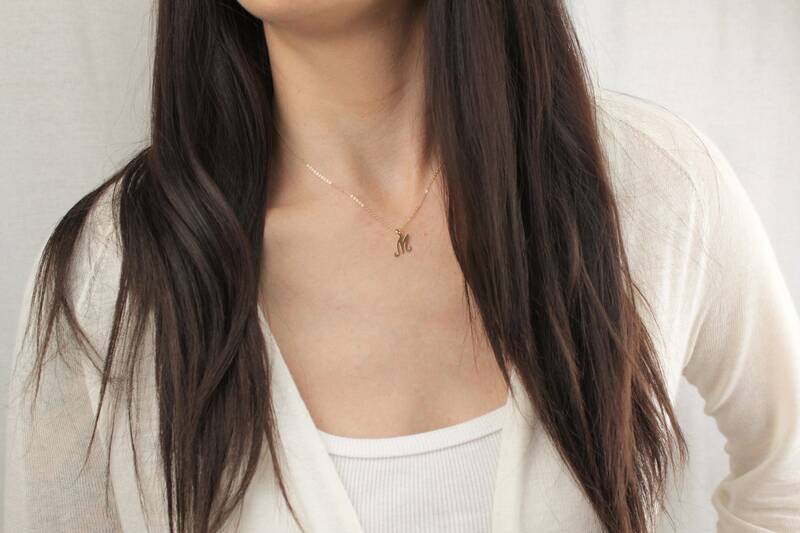 -14kt Gold-Filled high quality delicate link chain with a spring clasp. 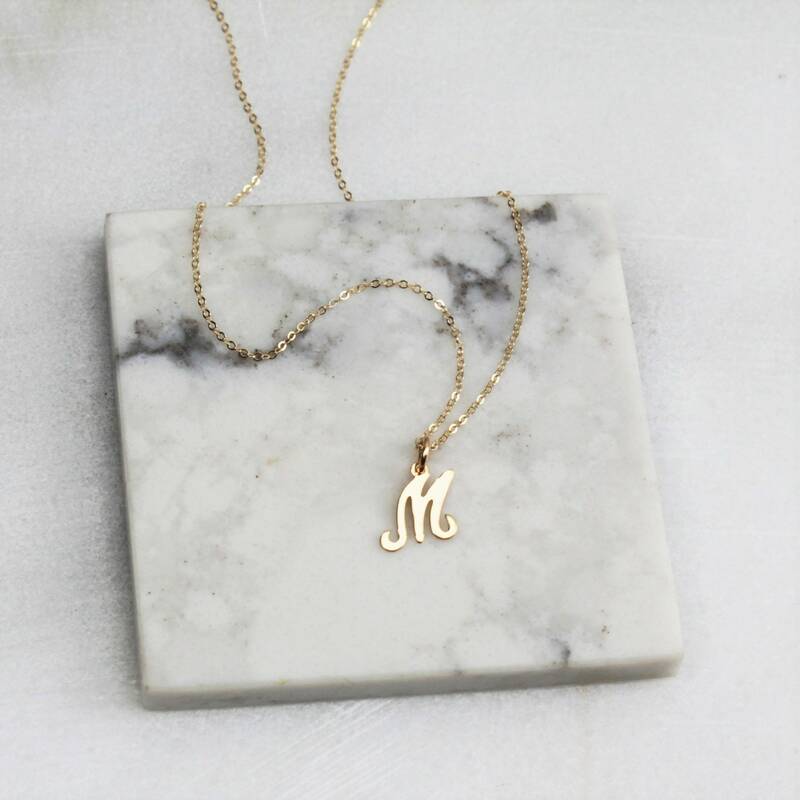 -Light weight and perfect for everyday wear. 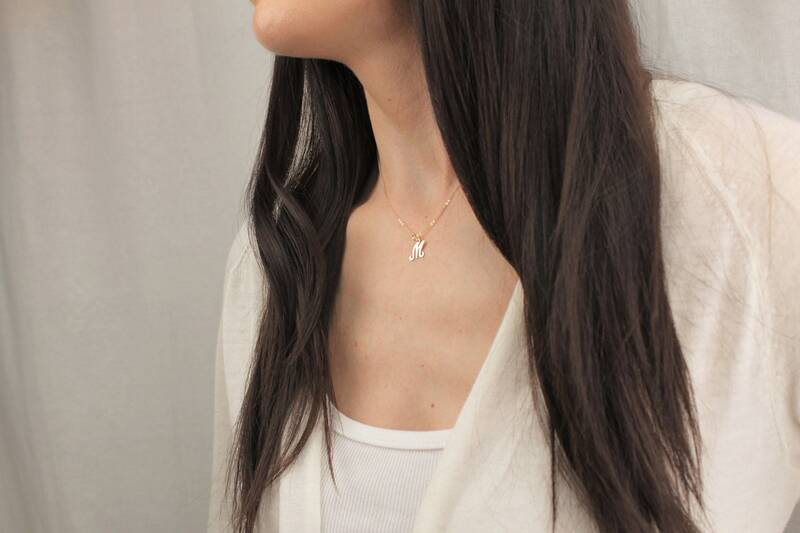 This dainty design is designed to wear at a short length.